Today is "World Photography Day", so we thought we'd pass on 10 very cool "photography related facts" to everyone... enjoy! 2. The first camera capable of recording an image used a process invented by Louis-Jacques-Mandé Daguerre. The complex process was named for the inventor as “Daguerreotype”. 3. 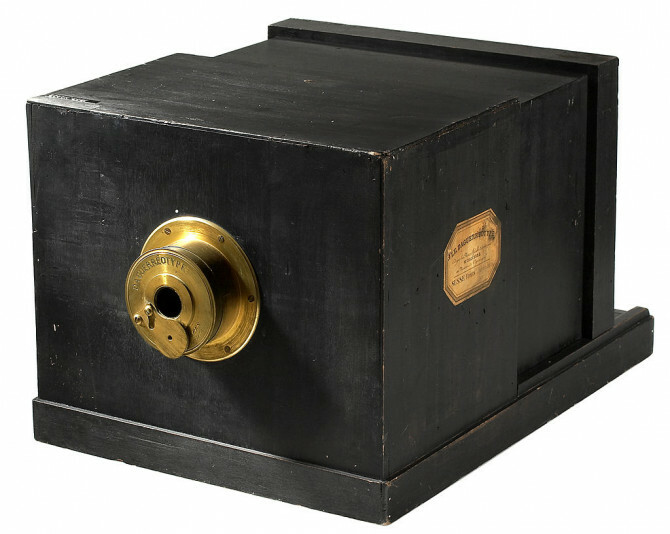 Daguerre's process was used in what's said to be the world's oldest camera, built by French firm Susse Freres. The camera, thought to have been made before 1839, was found in an attic in Germany. The camera sold to an online bidder for $792,33 at a Vienna auction, which also makes it the world's most expensive camera! 4. The oldest known surviving photograph is View from the Window at Le Gras, taken by Nicéphore Niépce in 1826 or 1827. It took about 8 hours to develop! 5. 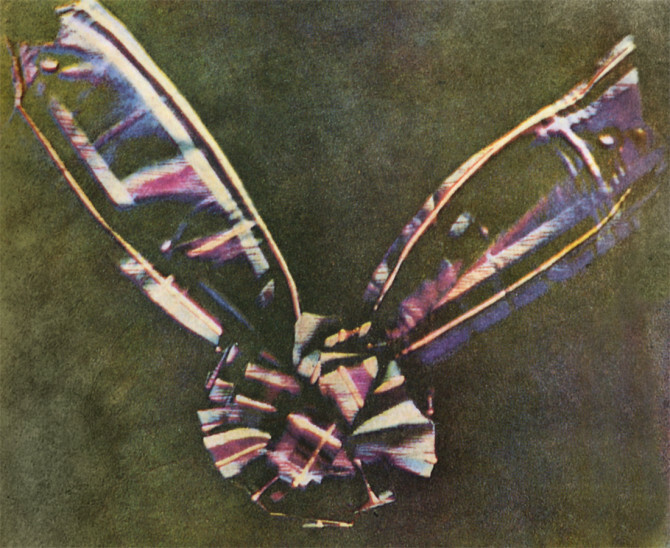 The world's first color photo, pictured below, was made in 1861 from 3 separate photographs taken through red, green and blue filters, then projected onto a photosensitive plate with corresponding filters. This method was suggested in1861 by Thomas Sutton. 6. The first photograph of a total solar eclipse was taken by made by Julius Berkowski on July 28, 1851. To learn how to capture it this week, click here for our Eclipse Shooter's Guide on our blog. 7. Digital imaging is good for the environment! Many darkroom chemicals are toxic and dangerous to handle. Disposing of them by pouring them down the drain or other conventional means is polluting. Pat yourself on the back next time you open your processing software! 8. There are 12 Hasselblad cameras on the surface of the moon. They were left there to leave room for the moon rocks brought back to Earth. The film magazines, of course, made the return flight. 9. Steve Sasson of Eastman Kodak invented the digital camera in 1975. It weighed eight pounds, recorded the image on a cassette tape and took 23 seconds to “snap” a picture. Oh, and the resolution? 0.01 megapixels! 10. The concept of HDR images isn't new. Photographers have always needed to overcome the limited dynamic range of photographic media. Gustave Le Gray, a photographer in the 1800's was known to combine two separate images (water and sky) to better capture the wide luminosity range. We hope you've enjoyed these 10 fun facts about photography... keep shooting and enjoy your creative endeavors!